Digital Nutrition Scale Just $7.86! Down From $40! You are here: Home / Great Deals / Amazon Deals / Digital Nutrition Scale Just $7.86! Down From $40! At Amazon, you can score this Digital Nutrition Scale for just $7.86 down from $39.99 PLUS FREE shipping with Amazon Prime or for orders $25 or more! The Classic Signature Series from American Weigh Scales is a great durable and compact pocket scale for those who are seeking the on the go high precision portable scale. The backlit LCD display helps make the numbers viewable and easy to read. The intuitive protective cover provides protection for the scale. With the smooth stainless steel weighing surface clean up is easy. 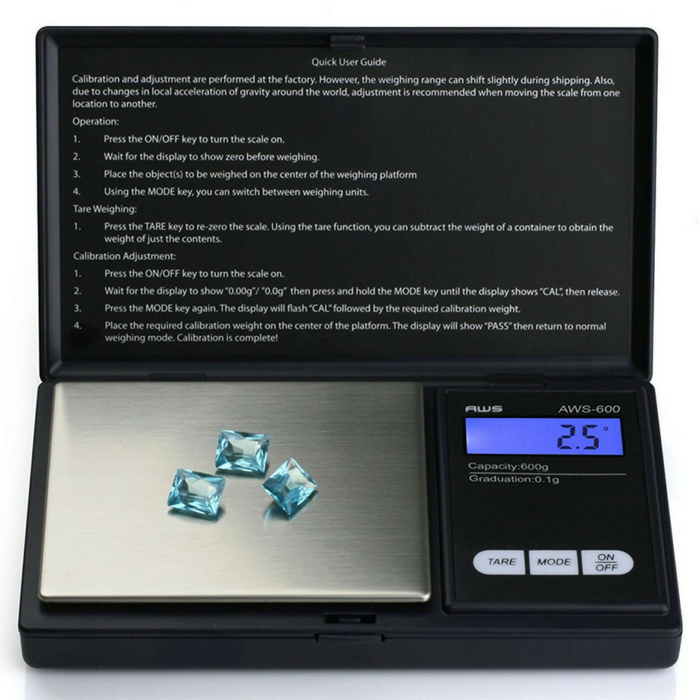 Buttons on the scale give you full control such as: switching modes grams, ounces, troy ounces, pennyweights and tarring. This checkbook size scale offers great range from 600 grams to as little as 0.1 of a gram. Whether this fits your style or needs – the AWS Series is the portable pocket scale that packs punch and gets the job done!